A couple of months back, the lovely ladies in Debenhams Ireland sent me a voucher to spend in the beauty department and as you can imagine, I pretty much squealed with excitement when I received it! Apart from it being so incredibly generous, I knew exactly what I wanted to buy with it which made me even more excited. 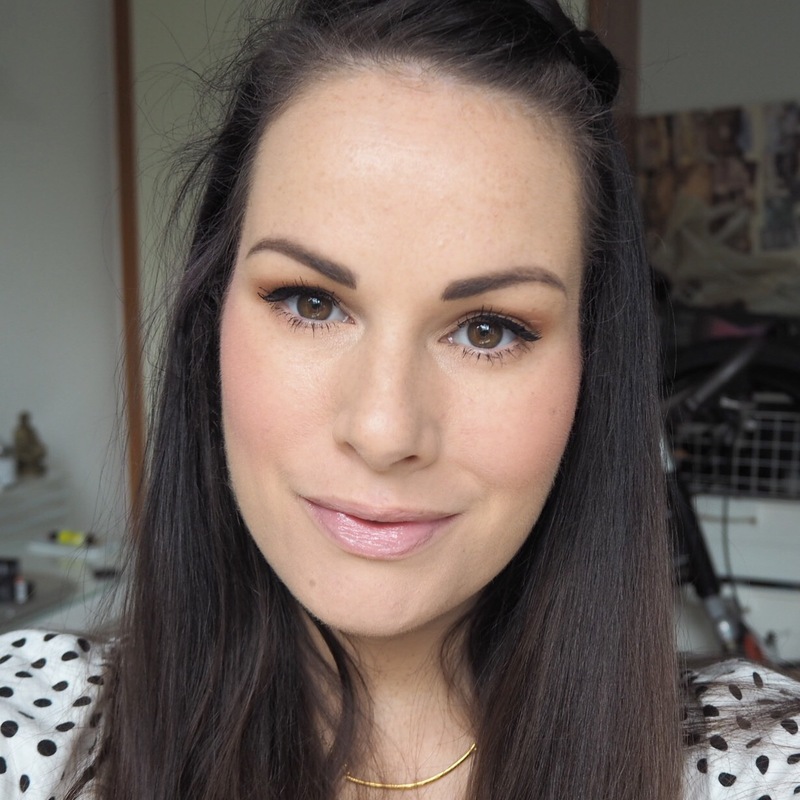 You may recall, the first thing I bought was a Kat Von D Studded Kiss lipstick which I wore on Day of my Simply Lippy challenge, and fell totally in love with. 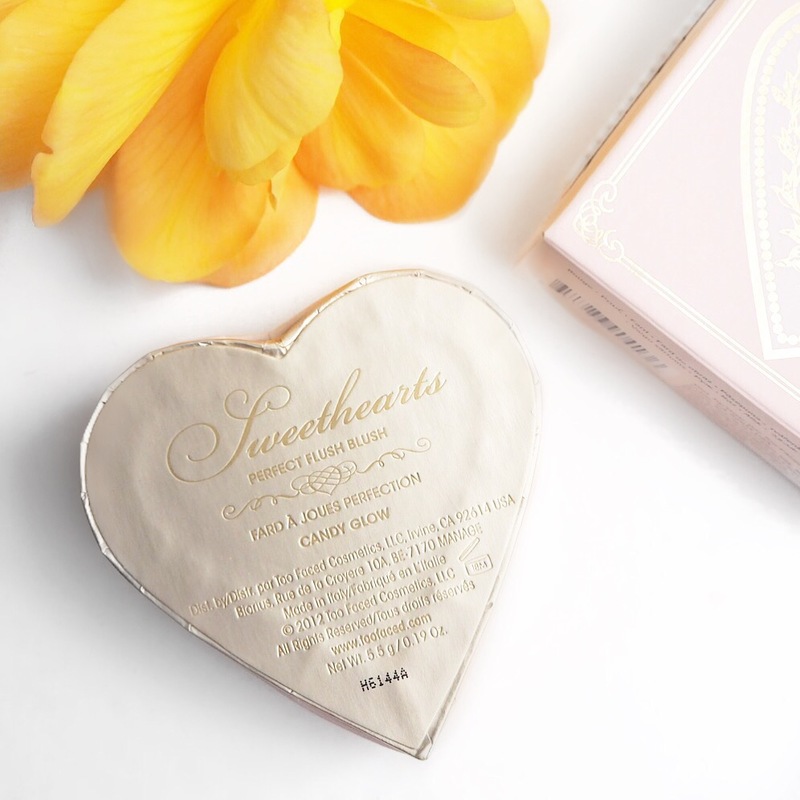 And the second thing was this Sweethearts blush from Too Faced which I have been dying to try for so long now. 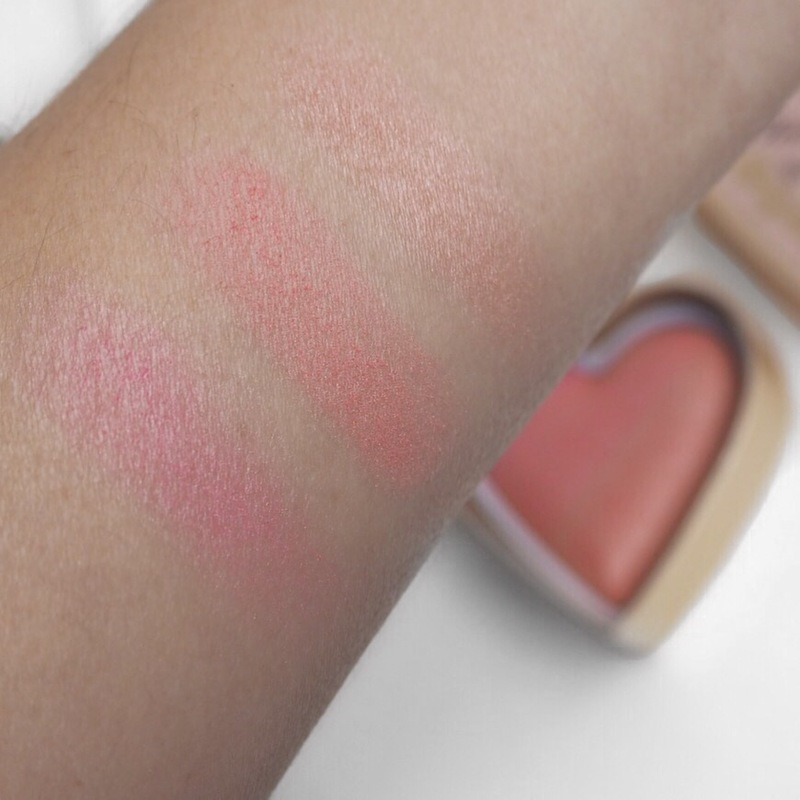 Apart from the super cute heart shaped packaging, over the last year or so, I’ve heard lots of great reports about this blush range, and as I’m a sucker for anything coral and dewy, I was so excited to finally get my hands on it and try it out. 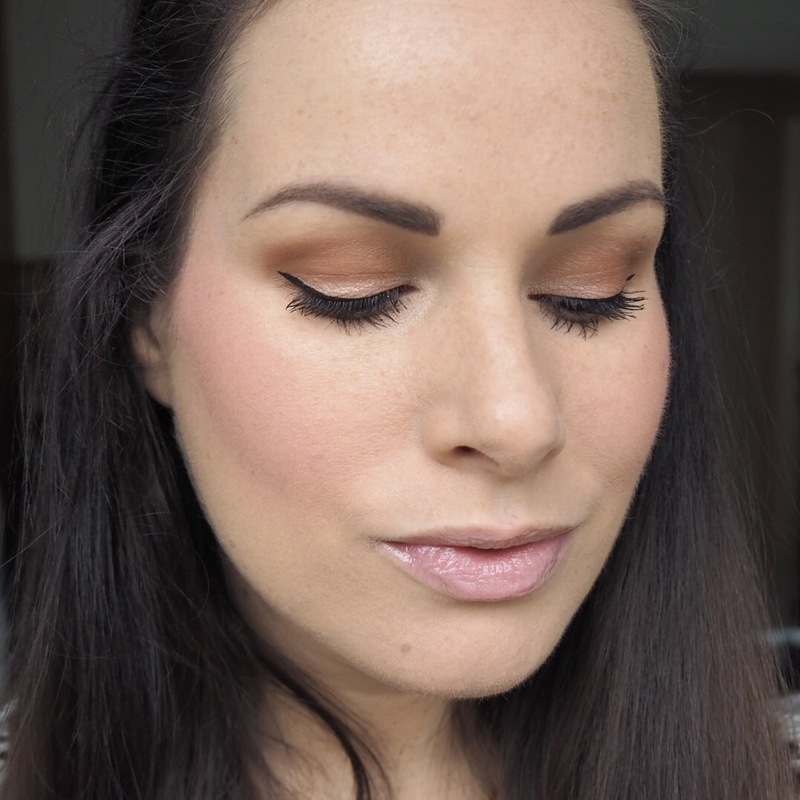 I think the summer is always the best time to try a dewy blush and the best thing about this one is, there are three blush tones in one: a bright pink, a salmon coral and a kind of champagne shade which on its own looks like an incredible highlight shade. 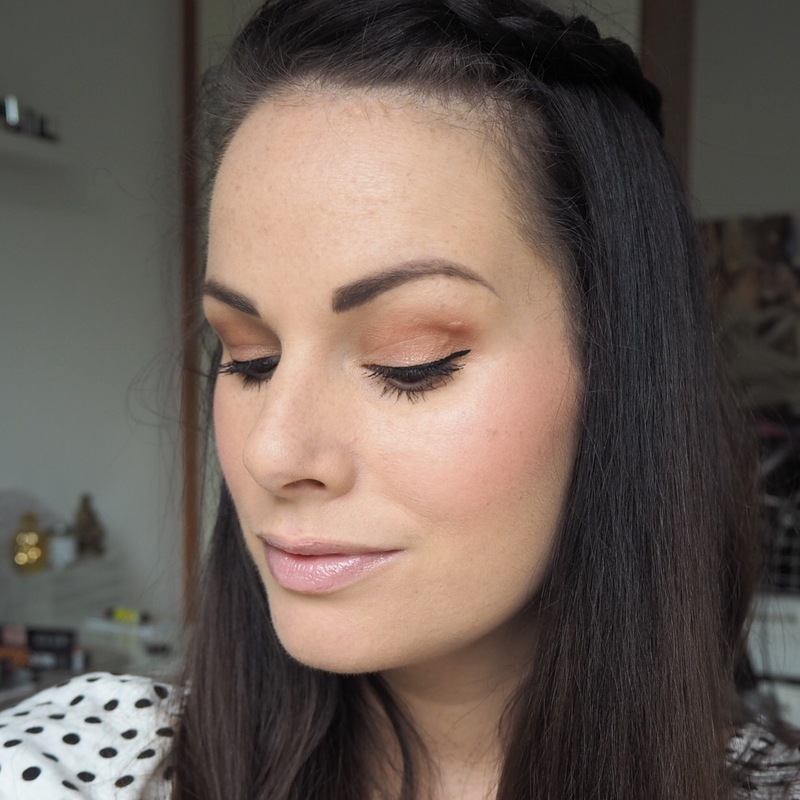 When I first swatched each shade separately, I was a little concerned by how sheer they are but I really needn’t have worried because once you blend the shades with your brush and apply on to the cheeks, it gives the most gorgeous coral glow. 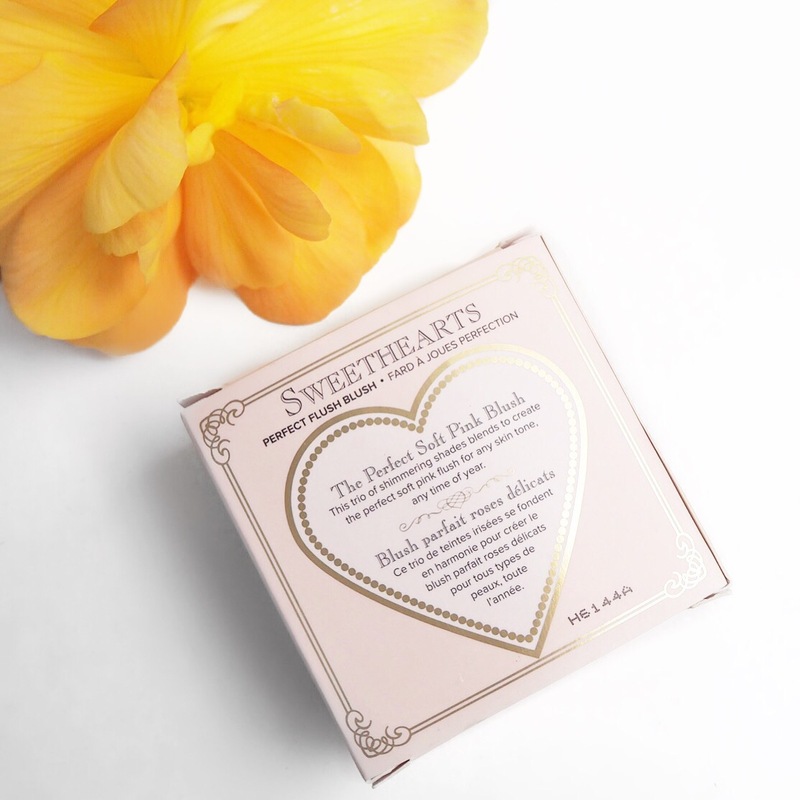 The blush is baked so you will find that it’s quite powdery when you first go to apply, but don’t panic, because the formula is incredibly light and blendable and has no fallout at all which I was very pleasantly surprised by. What’s more, the champagne shade gives an almost shimmer finish (without being glittery), which means you really don’t have to use a separate highlighter on top of the blush unless you specifically want to. Another thing to note is that the pink shade is quite a cool tone which may not be to everyone’s taste. 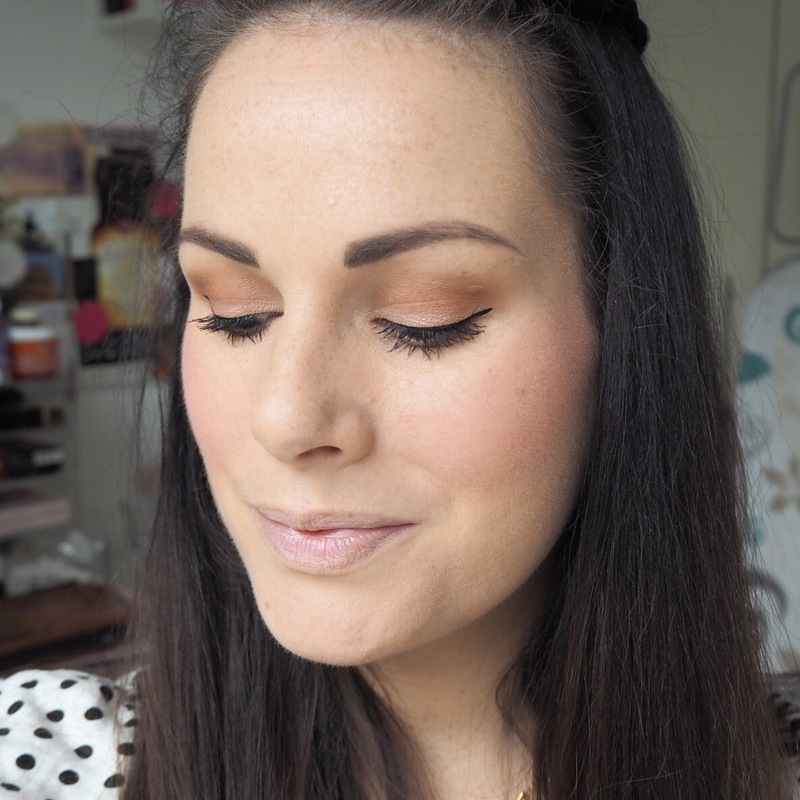 But, for me, once blended with the other shades I found it became much warmer and gave a warm flush of colour to my cheek bones in the only way a lovely blush can. 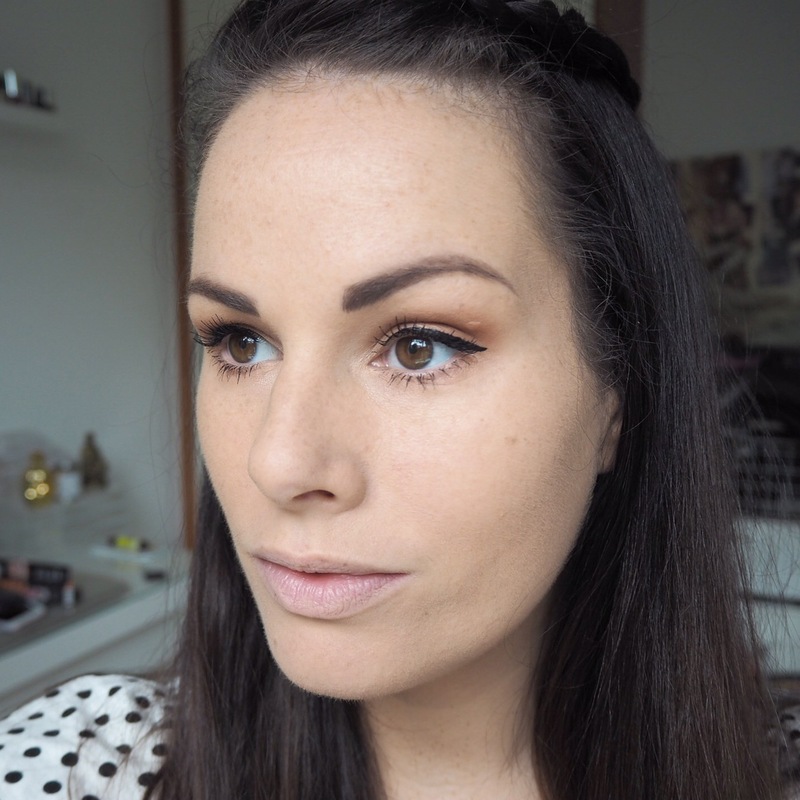 Overall I really loved both the finish and pigment, I have olive toned skin that is quite sallow, but I actually think the combined shades means this would be good on almost all skin tones. 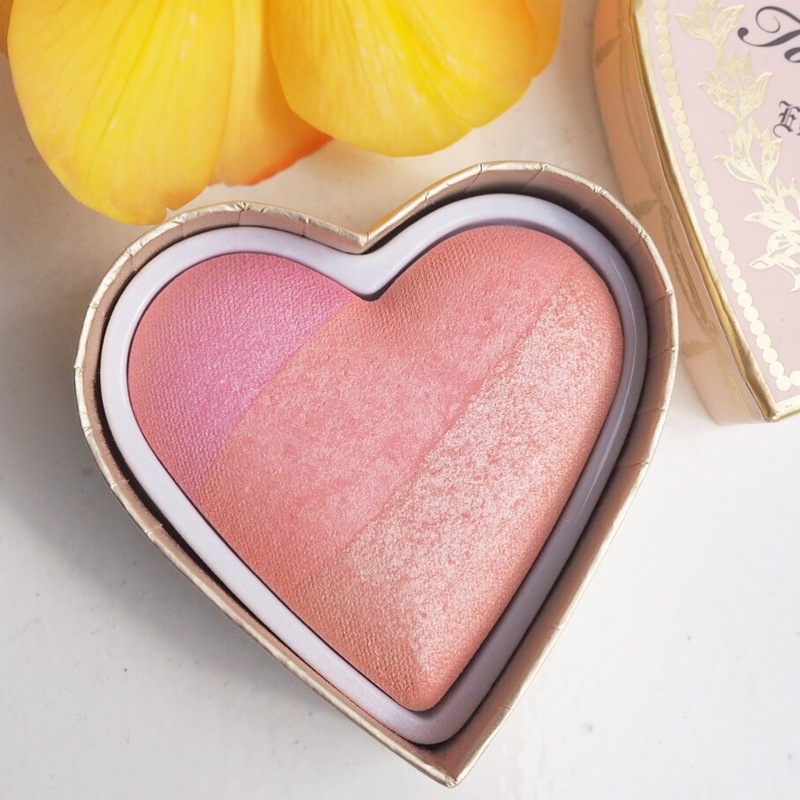 I tend to go for blushes that have dewy or sheer finishes, mainly because I love anything that makes my skin glow, so maybe that’s why I love this so much. And though it doesn’t give an opaque coverage, the pigment is really lovely and can be easily layered to be worn lighter or darker depending on the time of day. There’s nothing worse than when a product doesn’t live up to expectations, so I’m very happy that this didn’t let me down. 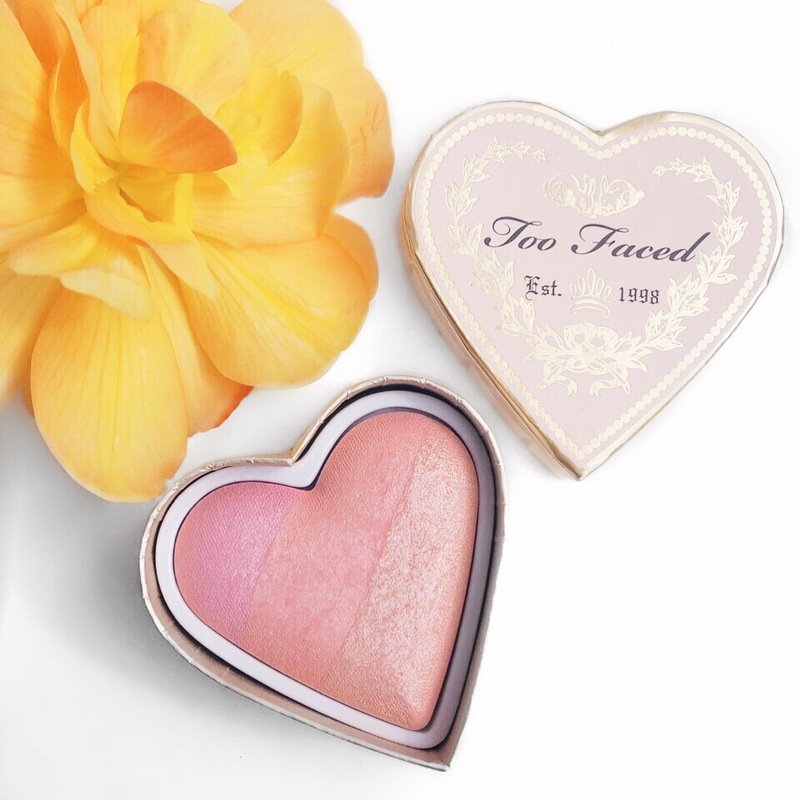 Too Faced products aren’t the cheapest and this blush will set you back €29 so there are definitely cheaper options on the market that are just as good. In saying that, the price point is in line with similar high end brands on the market and you get a lot for your money because a little will go a long way with this one. 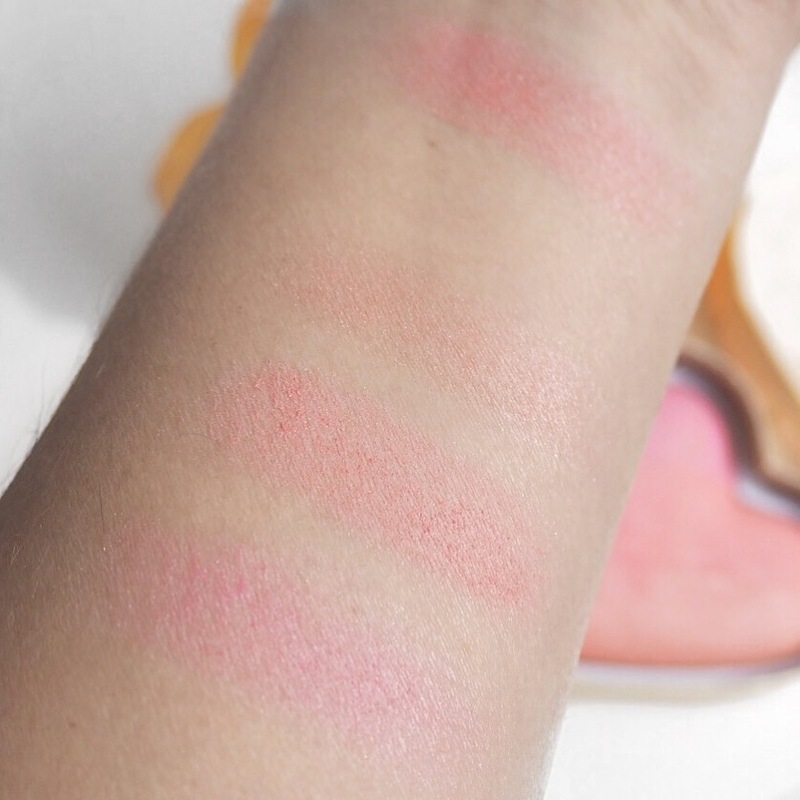 As always, make sure you swatch before you buy! 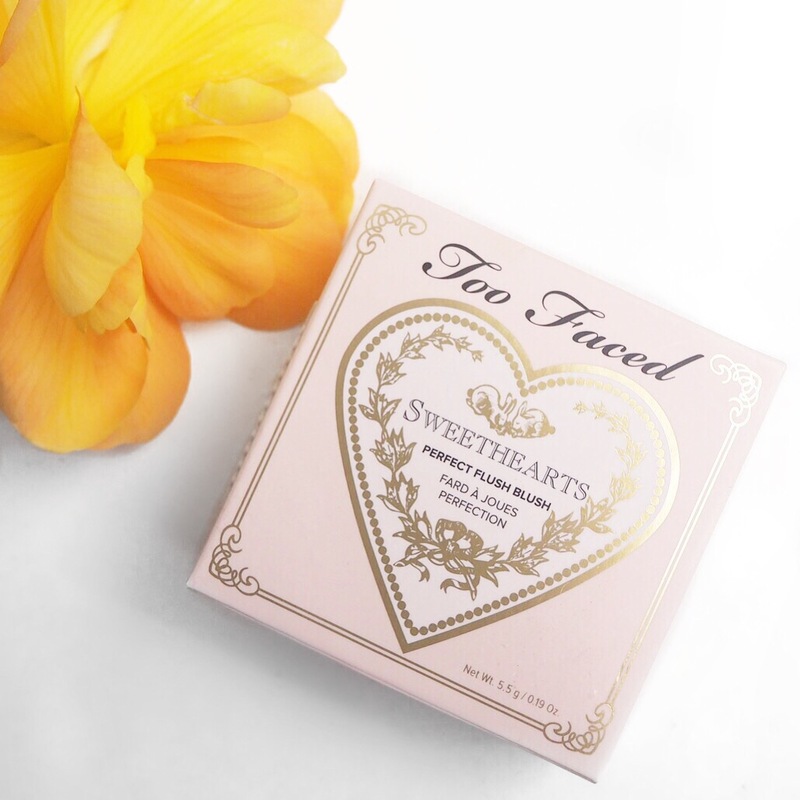 Too Faced products are available in Debenhams Ireland’s Henry St store or online.